Here at Emergency Plumbing and Solar (EPS) of Oahu, we’re proud to provide premium plumbing services. 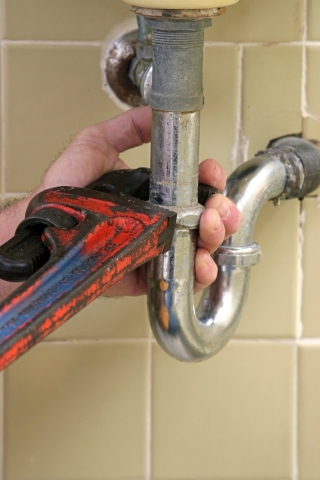 From water heater repairs to sewer line replacements, we provide a vast variety of plumbing services. We like to think that that makes us authorities on the profession of plumbing. So it’s our job to know your pipes. Now, we know that pipes can cause all sorts of issues. They’re liable to spring a leak as they endure aging, wear and tear. Pipes are liable to clog over time. Drains can overflow. On top of that, your drainage system can stink. If you’ve noticed that a your kitchen drain stinks, you’ve got yourself a common problem, and a problem that can arise from a number of sources. Let’s take a look at common causes of a stinky kitchen drain, as well as solutions to those issues – take note, we’ll be breaking this blog into a two part series, so check back for two further sink stink sources, as well as their solutions! If you have a smelly kitchen sink, your garbage disposal may be to blame, that is, if you have a garbage disposal. Often, garbage disposals can house bits and chunks of food debris. This food debris becomes a host to bacteria. As bacteria proliferates, it seeps into the air, and it makes your sink and kitchen stink! So what’s the fix? Well this one’s an easy one. There are a number of household items you can use to reduce the smell of bacteria in your sink. Toss sliced lemons, sliced oranges, or ice cubes into the sink, turn on the tap, and run your garbage disposal (as always, keep all body parts away from the garbage disposal). 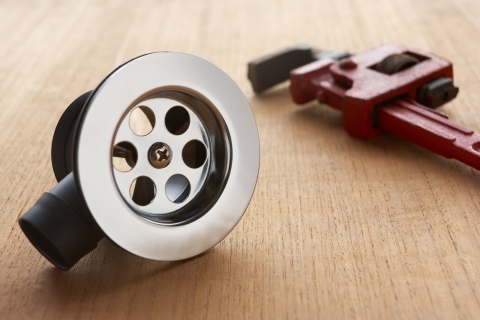 Your garbage disposal will dice up these items, and they’ll attack the bacteria and food debris throughout the garbage disposal. 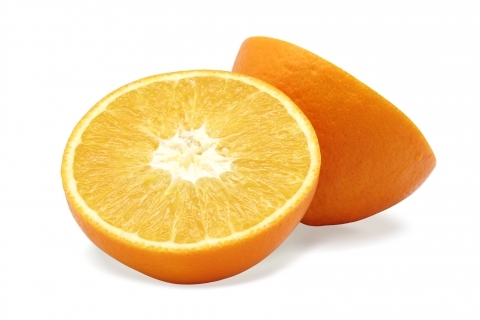 The citrus of lemons and oranges kills off bacteria, and the cold of ice does the same. If that doesn’t work, try half a cup of baking soda and a cup of vinegar. Pour these ingredients into your garbage disposal, and let them sit for a bit (a couple of minutes ought to do). Then turn the tap on with hot water, and flip on the garbage disposal. Take a look under your sink. Do you see that U-shaped bit of pipe? That’s the sink trap. The sink trap keeps a bit of water stored within it to keep sewage gases from seeping out of the drain. If you’re smelling a sewage smell, you could have a problem with your sink trap. If the sink hasn’t been used in a long time, the fluid in the trap could evaporate. Simply turn on the tap to refill the trap. If you notice a leak in the sink trap, you’ll need to replace it. Call on your local plumber here at EPS. You may also notice that you don’t have a sink trap altogether! If your piping goes straight down from the drain, and there’s no U shape, whoever installed the drain neglected to install a sink trap! Again, give us a call to get the fix. Here at EPS plumbing, it’s our goal to ensure that your plumbing is operating as it should. That means a running tap. That means a drain without any clogs. It means a water heater that works when you need it. And it means sinks that don’t stink. Check back soon to learn about other possible sources of sink smell, as well as their solutions. As always, count on EPS of Oahu for all of your plumbing needs. Call us today to get started! Your Sink Stinks, Here’s How to Fix It - Part I Overall rating: 5 out of 5 based on 10 reviews.